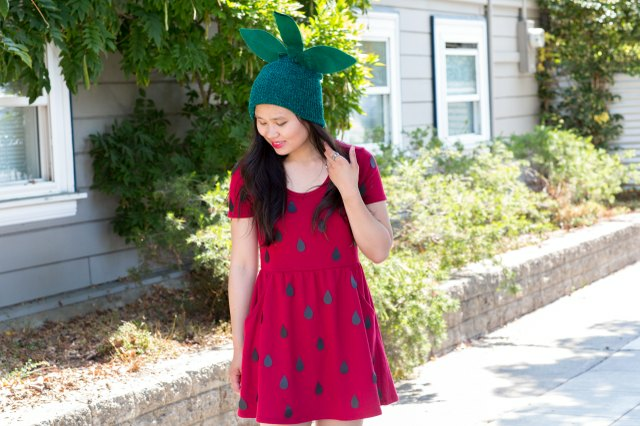 A strawberry costume is a charming idea for Halloween. 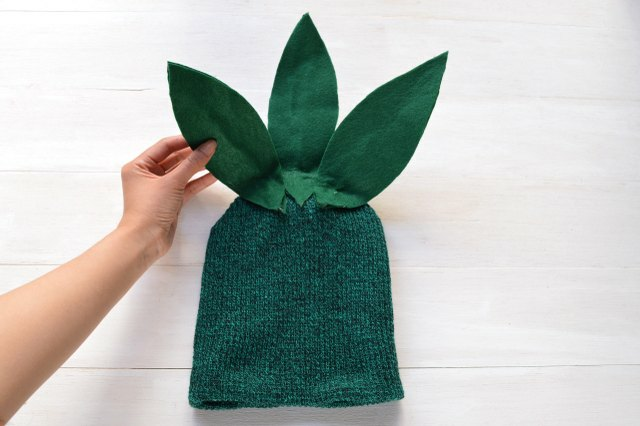 It is a sweet outfit that makes the fruit trend wearable for parties and events. 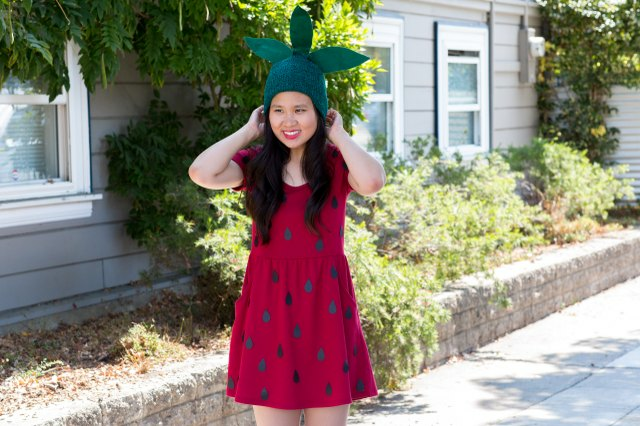 This strawberry costume requires basic supplies and zero sewing skills. 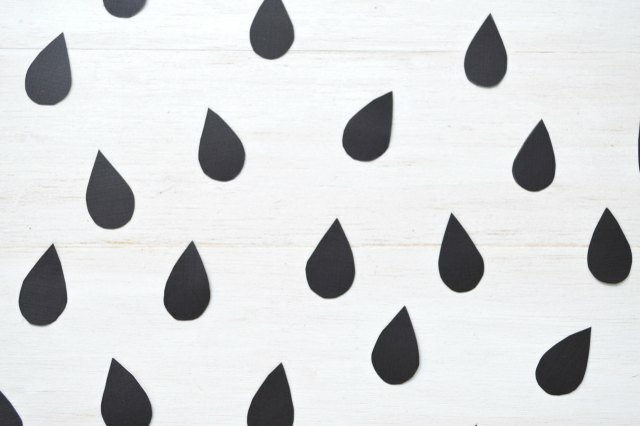 Black construction paper can be used in place of card stock. Cut out a seed shape from the cardboard. A seed shape is an oval that is pointed at the top end. The cardboard seed will be your pattern. 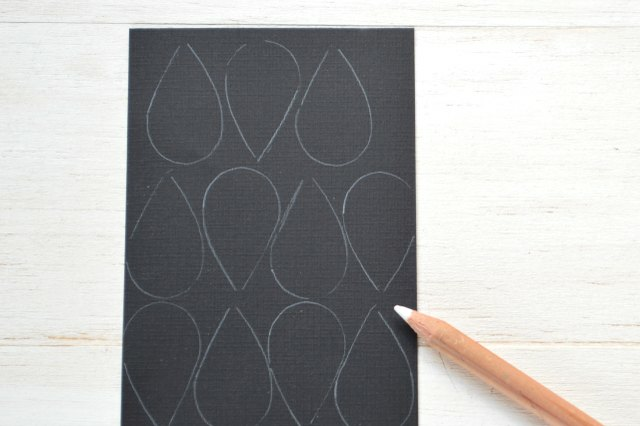 Draw a seed shape on the cardboard before cutting. This drawing can act as a cutting guide. 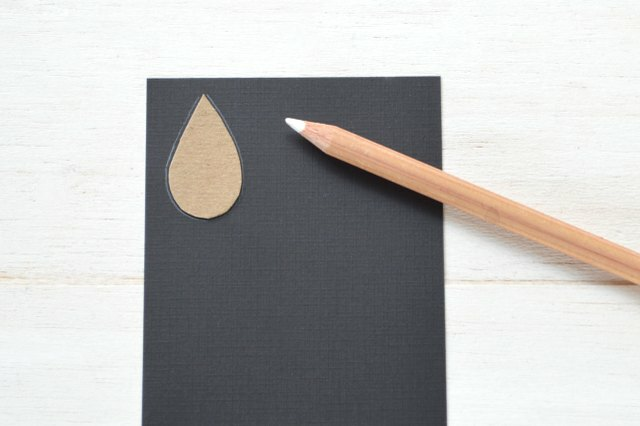 Using the white chalk pencil, trace the cardboard seed onto the black paper. Rotate the cardboard seed 180 degrees each time you trace it. This will interlock the shapes, allowing the greatest number of seeds to fit on the card stock. Cut along the white outline to cut out the black seeds. Hot glue 20-25 paper seeds on the front of the dress. Repeat on the back side. Don't think too much about the placement of each seed. Remember, the seeds on a real strawberry are scattered randomly. Be cautious when using hot glue. 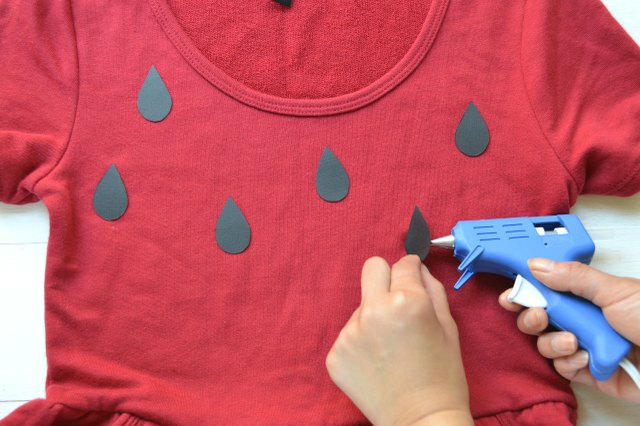 The glue is extremely hot when it is first leaves the hot glue gun. Never touch hot glue until it has completely dried. Cut three strands of wire measuring 9 inches each. The wire strands should fit the 9-inch span of the felt. 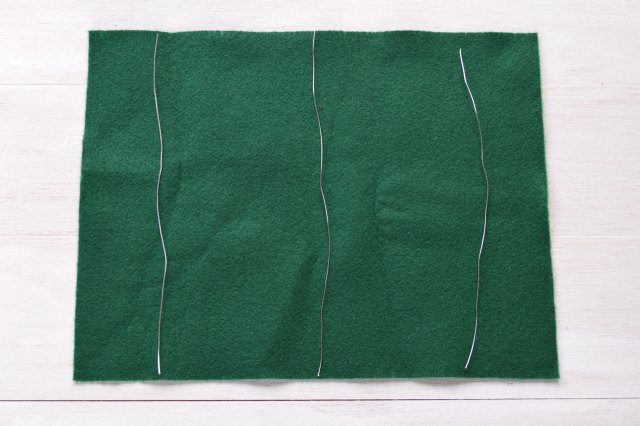 Then, place the wires on top of the felt, spacing them out evenly. 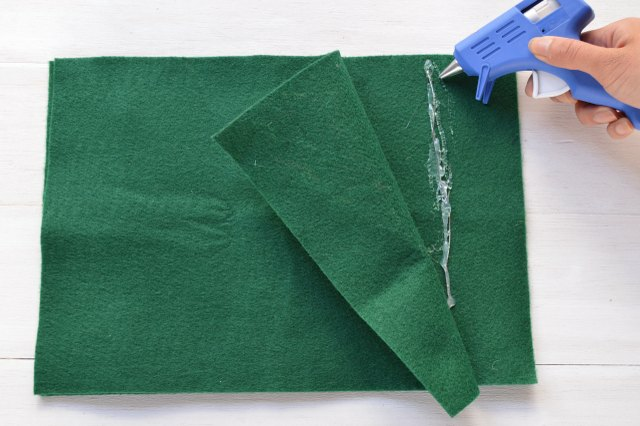 Hot glue the wire to the felt. Repeat with the remaining wire. Don't worry if the glue looks messy. It will be covered up and will not be visible in the finished project. 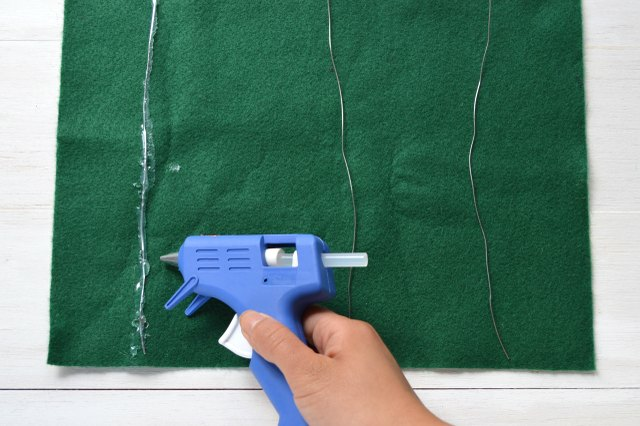 Apply another line of glue along one wire. 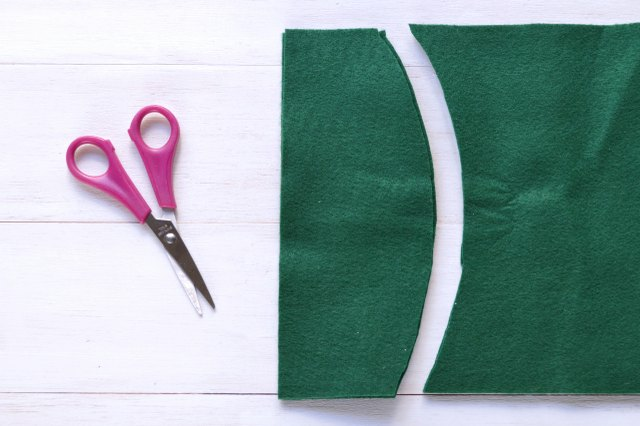 Place the second sheet of felt on top, making sure to line up the edges. Repeat with the remaining two wires, one by one. Press down to secure and make sure the wire does not move. Choose a strand of wire to start with. Find it in between the felt sheets. 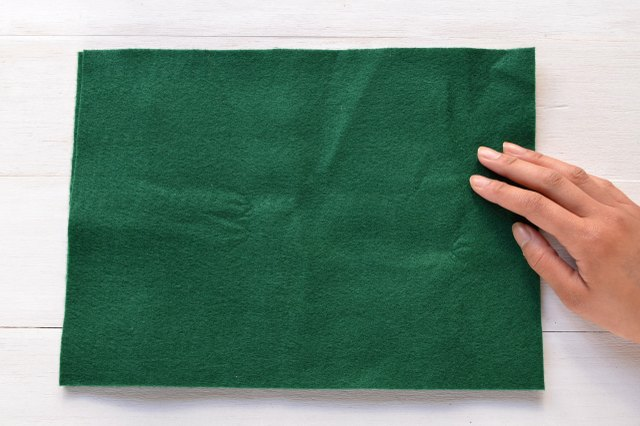 Starting at the bottom end of the wire, cut across the 9-inch span of felt. The cut should be a curved line that ends right next to the top end of the wire. Each strand of wire runs down the center of each leaf. 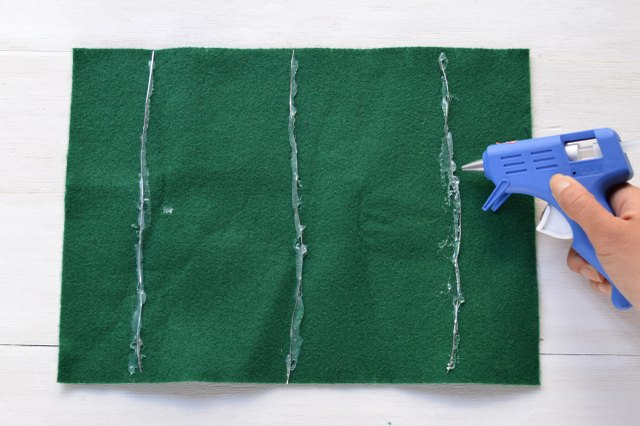 Use the wire as a guide when cutting the felt. Cut across the left side of the wire. Repeat with the two remaining strands of wire. 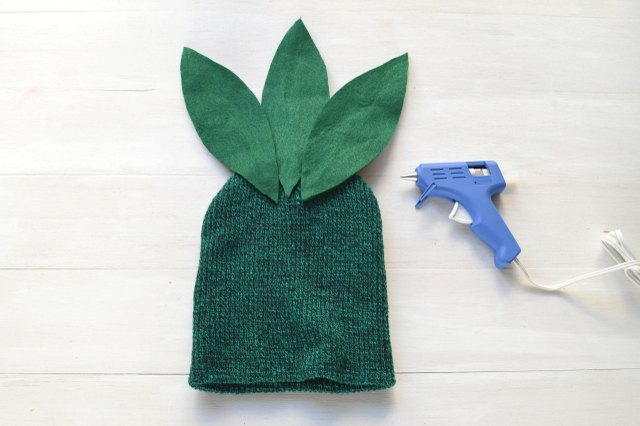 Lay the beanie on a flat surface. 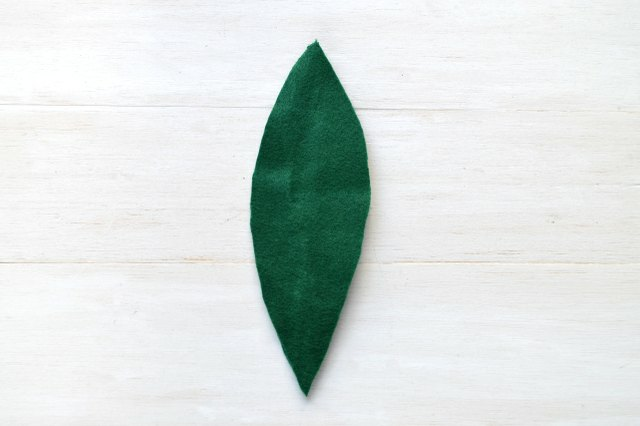 Place the three leaves on top, tilting the left and right leaves outwards. 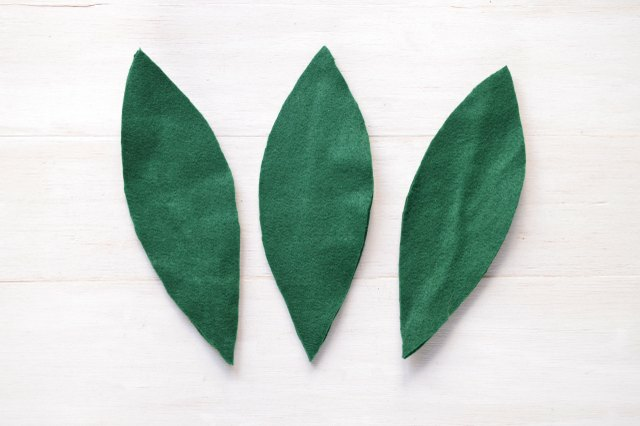 Hot glue the leaves in place. 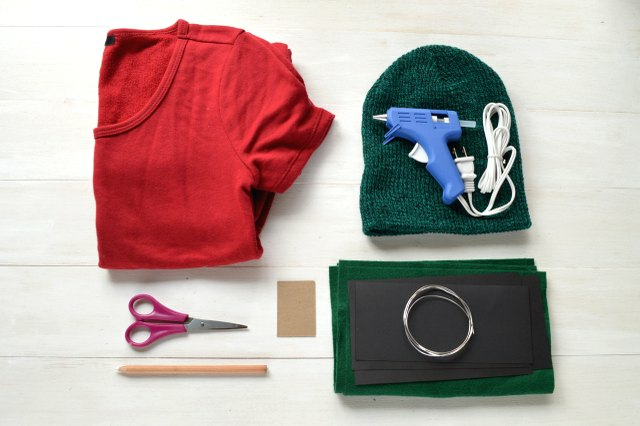 Wear the beanie and dress together to complete the final look.